Visit that page and choose the food item for which you are seeking information. You may then read and print the information from your computer, or you may order the publication through the website. For questions relating to commercial food preparation or preparing any food item for sale contact: Barb Ingham bhingham@wisc.edu or 608‐263‐7383. 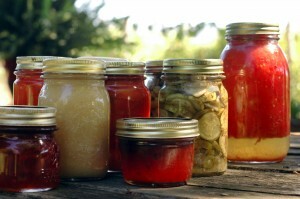 View these publications online and purchase copies such as Canning Fruits Safely and Home Food Preservation Resources. Fruit and Vegetable Preservation – This site is part of the Wisconsin Horticulture website and contains tips on preserving all sorts of garden fruits and vegetables. Below are Food Preservation Webinars from 2013 and 2014. Slide Presentations will download and open in Microsoft Powerpoint on your computer.